We have started the construction of public bathrooms on second floor. To do the work, they have ripped off the temple room ceiling, also there is construction material littered and some rubbles in temple building. Considering the safety of the people we have cancelled the big gatherings - Sun and Wed feasts. Please join us for a wonderful festival of Sri Jagannatha Ratha yatra on Sunday, June 30, starting at 11:30 am at 1 Cambria St (intersection of Boylston St and Mass Ave.)(please see the map). Child abuse & neglect come in many forms and have far reaching effects. The more devotees that are knowledgeable in the recognition of child abuse and neglect and know how to respond, the safer the community is for children and the more deterrence of child abuse is naturally built into the collective consciousness. At ISKCON Boston, we are coming up with an exciting 8 week course that presents the teachings of the world's ancient classical wisdom - Bhagavad Gita in a contemporary, universal and thought-provoking way. We will be diving into this ocean of timeless wisdom that has been inspiring thinkers from all over the world for ages. It will offer you with a wide variety of perspectives, thereby, helping you to make wise choices in life. 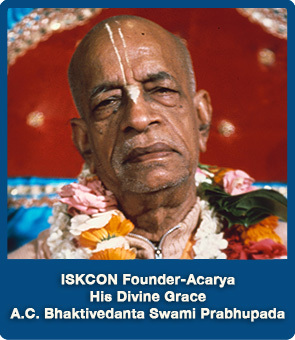 Introducing professional yoga classes at ISKCON Boston for the first time. Learn a genuine approach to yoga from an accomplished yoga teacher and practitioner. All Levels are welcome to attend this class just need to bring in your mat. to receive news of upcoming events and festivals.